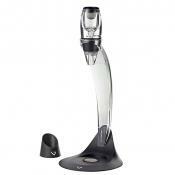 It is easier and faster to use this wine aerator rather than open a bottle of wine in advance and wait till it aerates. 32 small holes saturate wine with air. 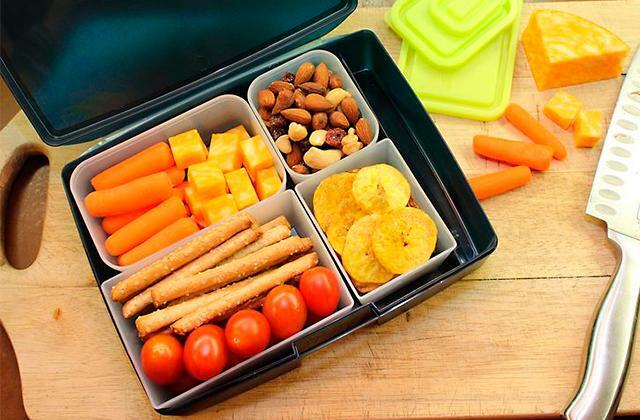 In addition, you can use a gift carrying pouch for transportation. It is more expensive compared with its rival models. This device is 3 times as fast as a conventional decanter in saturating wine with the air. 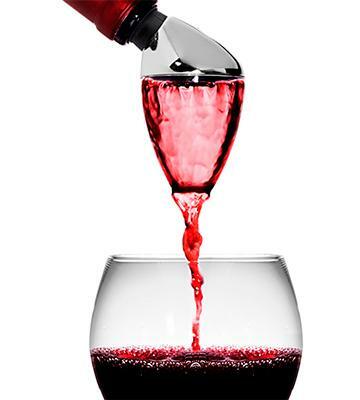 Patented 3-stage aerating allows you to feel a deep taste and fragrance of any red wine. Elegant handy gadget is made for casual wine drinker or true gourmet. Rabbit aerator features with very attractive design. Unfortunately, this model is completely inappropriate for a dish-washer. This 2-in-1 wine tool can swirl wine before it reaches the glass. An aerator is made of durable acryl. Due to its shape, the item is well resistant to damage. 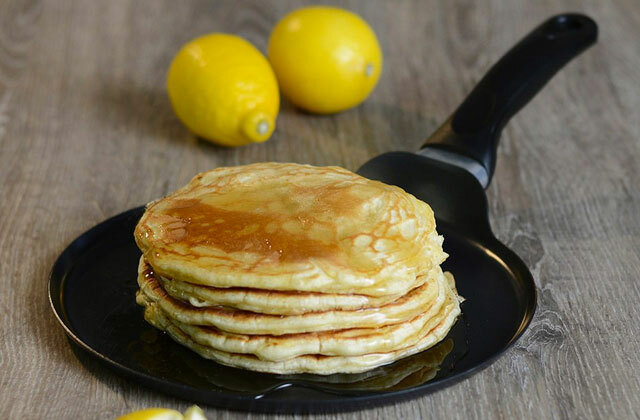 Moreover, the device is easy to clean, so using it is really effortless. Since this device can't be attached to the bottle, you have to be careful while pouring wine, as it may cause some spilling. An innovative construction speeds up the aeration process, which is happening while you are pouring wine from a bottle into a glass through this device. Wine fans are going to appreciate how well this aerator works. The device has a special oval inner tube where wine is saturated by the air. Thus, you are able to feel a delicate taste in just a few seconds after opening the bottle. 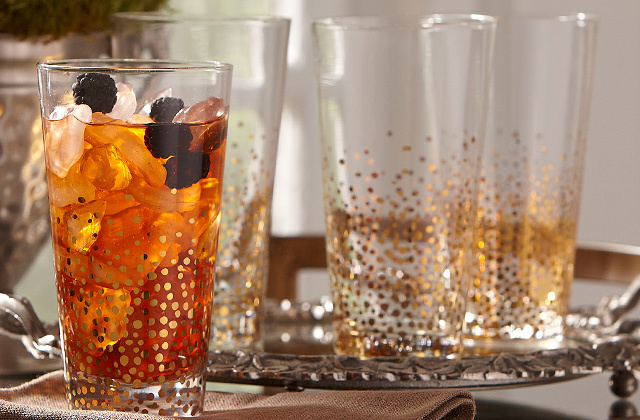 Since this aerator is made of glass, you should be very careful in order not to break it. Despite its freaky shape, this device is ideal for both red and white wine (unlike many of its competitors). It is a great choice for personal use or as a gift for a wine lover. This wonderful aerator has a flexible ribbed base, which fits securely into different sizes of wine bottles. This model works only on cork bottles. Doesn't support screw-on. This compact aerator can be used for medium-bodied and full-bodied red wines. 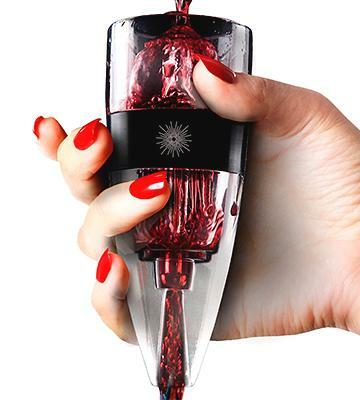 This device requires just several seconds for aerating and decanting of red wine. We have already mentioned a 3-stage aeration process, so let's explain how it works. At the first stage, aeration is happening thanks to a special 'umbrella' that saturates wine with the air during the first contact. At the second stage, the wine passes through 32 tiny holes of the mesh filter, so that you can even hear a little noise. It is the sound that arises at the time when air bubbles are getting through the wine. 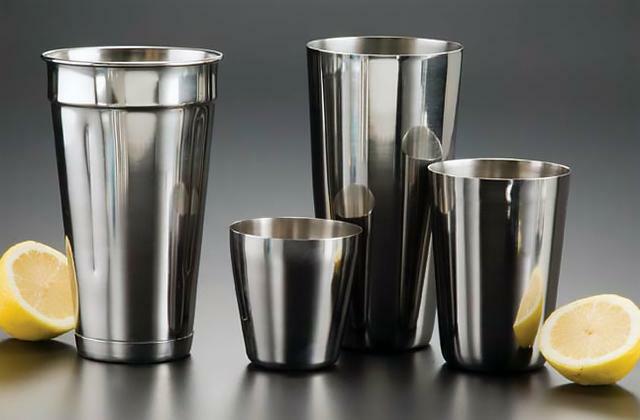 At the last stage, the wine goes through the aeration tube and, as a result, you can enjoy a glass of excellent drink. You don't need to be a sommelier to easily handle its appliance. Just bring an aerator over a glass and pour wine through it from the bottle. 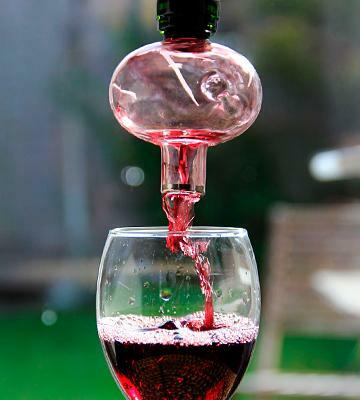 There is no need to pour the whole bottle at once in a decanter, you can fill only one or a few glasses, if necessary. Thanks to its compact and durable construction, this device has a lifetime warranty. The aerator can be cleaned under the running water for 10-15 seconds, and then, left to dry. 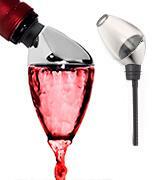 Andre Lorent Vinluxe PRO Wine Aerator comes with a gift carrying pouch. 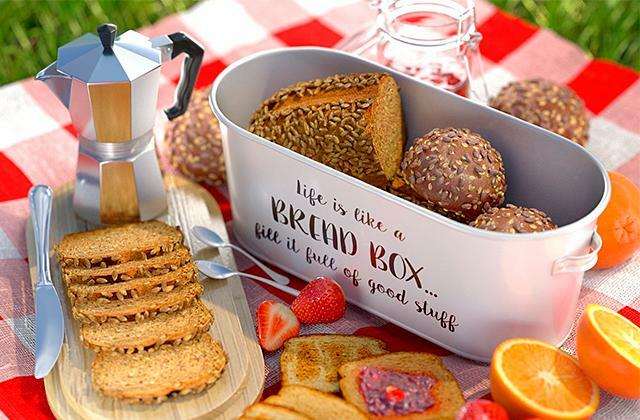 This nice bonus from the manufacturer will come in handy during your trips to the countryside, so you can enjoy your favorite wine anywhere. In addition, it is equipped with a special stand for placing the aerator upright. Such a stand ensures convenience of use since you can put the aerator in there after usage to prevent spillage of wine. VinLuxe Wine Aerator - Rated Best New Wine Aerator & Decanter! 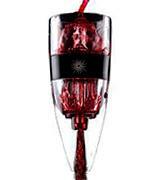 Aerator opens the red wine aromas and allows you to taste better taste. With the help of the Rabbit device, you can open and pour wine in a really elegant manner. There is no need to wait until aroma is increased - simply insert a device and it happens immediately. So, you have a great opportunity to please your guests - they will find the bouquet more bright. This compact wine accessory can be simply divided into two parts: the sturdy plastic with stainless steel pourer and the transparent wine decanter. This makes Rabbit wine aerating pourer not only easy to use but also easy to clean. You can wash it even in a cold water. So, if you don't want to waste your time on cleaning, this one will be perfect for you. This amazing aerator from Rabbit comes with a handy plastic storage case. It helps to keep both parts of the device in the comfortable place. Besides, you can take an aerator outside. What is more, it is perfect for transportation. And finally, this plastic storage case protects the device from dust, insects, and pets. However, if someone does appreciate the activity of aeration, as my father does (for whom this was a gift), it is a good product. Amazing! Use this with almost every bottle of wine. So much easier than one of those that uses a stand. 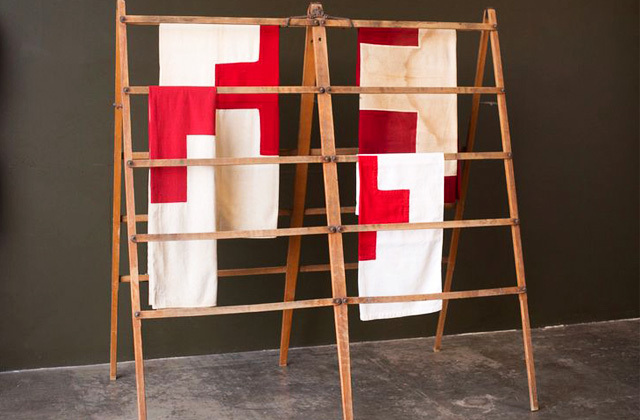 You have just found a perfect gift for any wine lover. 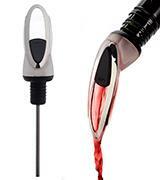 Meet Essential Wine Aerator! Vinturi was the first manufacturer who started to use such devices for aeration of wine. 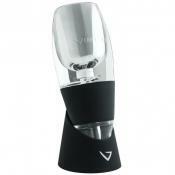 Vinturi Essential Wine Aerator is aimed at a quick saturation of red wines with air. 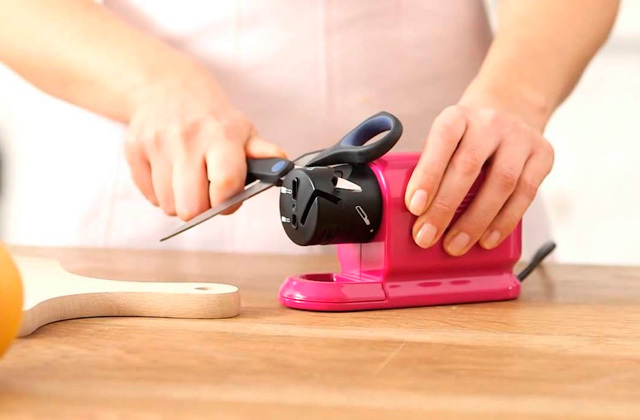 Thanks to this device, you can easily improve the taste, bouquet and finish of any red wine. Now you can enjoy your favorite wine literally in seconds after you open the bottle. You don't need to put too much effort to learn how to use this innovative device. 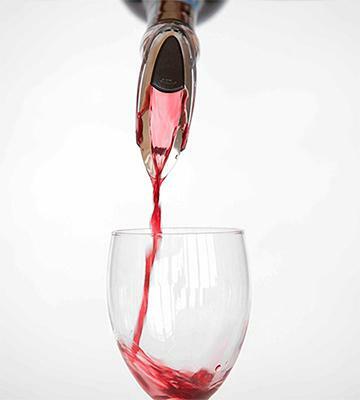 Its application method is quite simple: set the aerator to the glass and pour the wine through it. 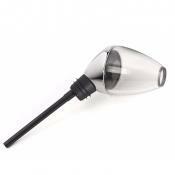 It is safe to clean Meet Essential Wine Aerator in a dishwasher since this device is made of acryl. 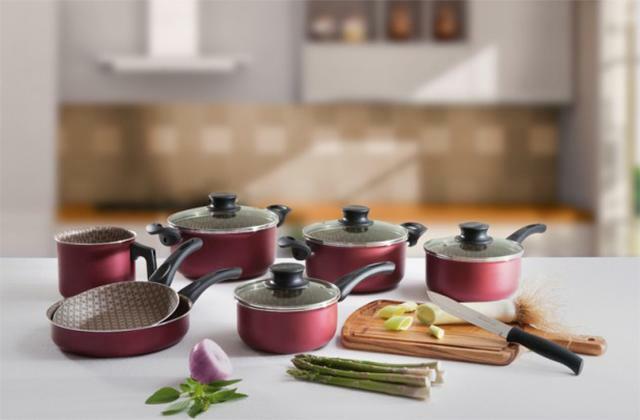 Its durable construction prevents any damages so you actually receive a lifetime warranty. As a result, you get a convenient device that can be used for a long period of time. 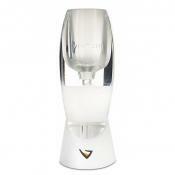 Vinturi Essential Wine Aerator is used with a special no-drip stand. You can place the aerator on it when the device is not in use or right after the aeration to avoid spilling of wine and, as a result, unpleasant stains on your expensive tablecloth. A mesh filter prevents penetration of bottle cork pieces or a sediment into your glass. This amazing device boasts an excellent price-to-performance ratio, so it will surely please all wine connoisseurs. The holder is a convenient feature. It catches drips and is good to use when you're offering a variety of wines in self-serve fashion. 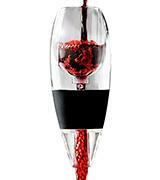 Small and effective, this aerator is perfect for accelerating the drinkability of your heavier reds. The original model came with a synthetic velveteen pouch so you could enjoy a red with dinner without the time needed to decant or let it breathe. Soiree bottle-top Wine Decanter & Aerator is the newest model of wine aerators. It can be used for both red and white wine, which appears to be one of the advantages of this device. 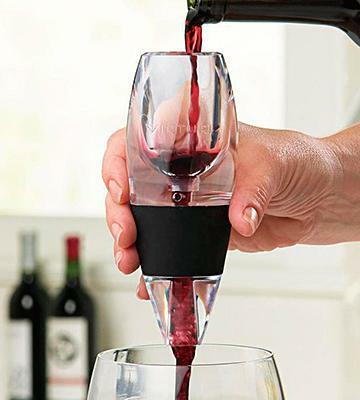 The aerator is attached directly to a bottle, so you don't need to hold it with your second hand. The air saturates wine when it's passing through a special oval inner tube. As a result, the taste of wine is improved by air bubbles that fill it gently and easily. 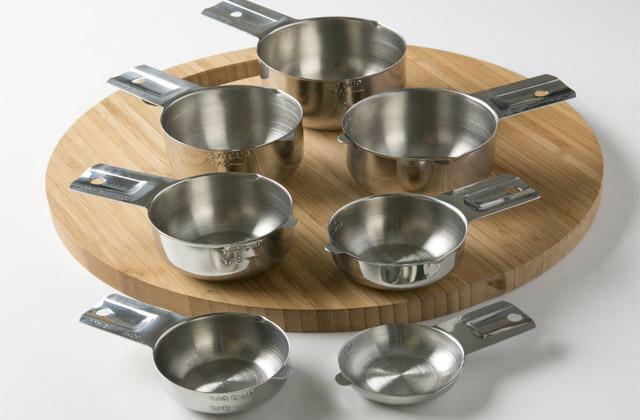 This item comes with a special 5-ring gasket, which is able to fit almost any wine bottle. Some owners might find this device unusual because it looks a bit bulky when attached to a bottle, so if you want to fill the glass properly, you will have to turn the bottle upside down. Nevertheless, it is the process when you can get the effect that will allow you to enjoy a deep taste and amazing fragrance of your favorite wine. The package of Soiree bottle-top Wine Decanter & Aerator includes a stand which can also be used as a dryer after you wash the aerator under the running water. 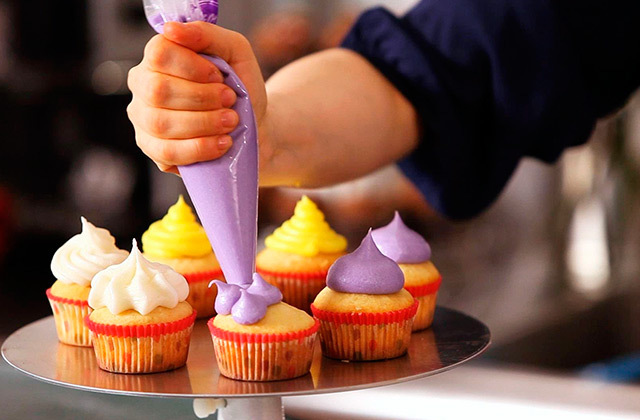 The device is made of tempered borosilicate glass, but still we recommend you to handle the aerator quite carefully. This model will satisfy both common users and professional sommeliers since it aerates any wine in a few seconds due to its patented design. 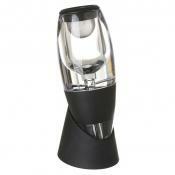 OXO Steel Wine Aerator is perfect for aerating medium wines like Chianti or full-bodied reds like Cabernet Sauvignon. With its help, the wine can be enriched with the pure aroma. While pouring over the stainless steel ring, you let the air circulate. This causes the perfect aeration. One more feature - the device suits both left- and right-handed people. 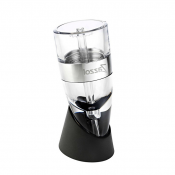 Made of stainless steel OXO Aerator has the reliable monolithic construction. 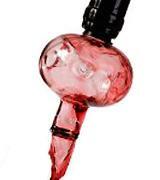 The device is quite easy to use: just stick it into the opened bottle and pour through the spout. There is also no problem with washing. Just keep it under the tap for a few minutes and it will be ready for the next aeration. OXO Steel Wine Aerator comes with a flexible ribbed base, which fits all sizes of the wine bottles and prevents from wine leaking. Unfortunately, manufacturers didn't supply a device with a stand, pouch or case, so you should keep it carefully in a cupboard. But still you can use the shipping box for transporting. True wine lovers know that if you want to enjoy drinking wine you should enrich it with oxygen. The simplest method is to keep uncorked bottle for 4-5 hours. But this is not very effective and does not allow the aroma and the bouquet to be opened. That is why we suggest using Wine Aerator - a special device which increases exposure to oxygen and causes maximum aeration in a few seconds. Due to its construction, the wine aerator is able to improve taste characteristics of any sort of wine - no matter whether it is expensive or cheap. In conclusion, the real lovers of a delicious dinner with wine and soft pasta will appreciate such useful appliance as pasta maker. While choosing the wine aerator, try to figure out what it is Best For. The device can be designed only for red wine, or vice versa, for white. 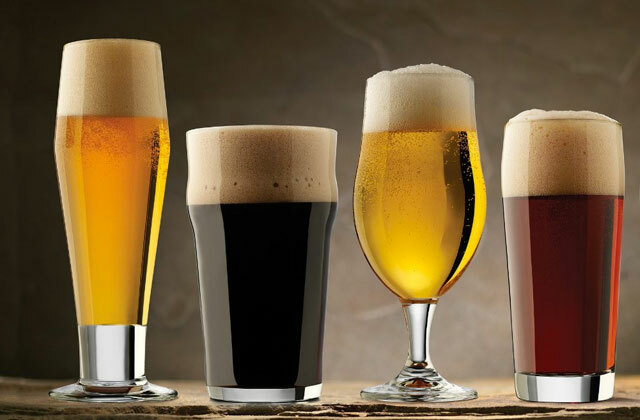 Some manufacturers make aerators that suit both variants and can be used for another alcohol drinks. It is also important to pay attention to such criterion as Usability. A device must be comfortable both in usage and washing. So it is suggested to see all design and construction details before purchasing it. If you want to be fully satisfied with your aerator, don’t forget about Extras. 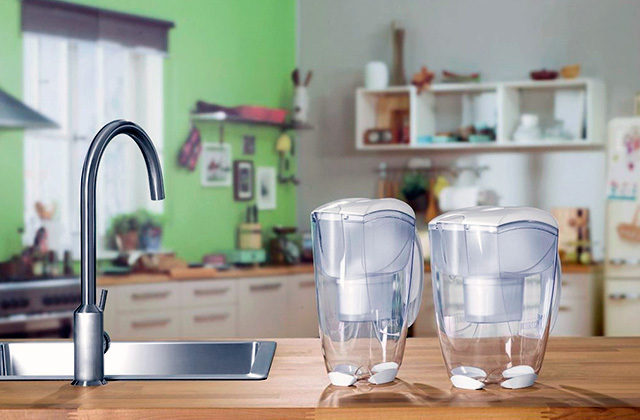 Besides its basic functions, an aerator can have some additional features such as freezer (keeps the cool temperature) or stylish stand (fits your kitchen furniture).